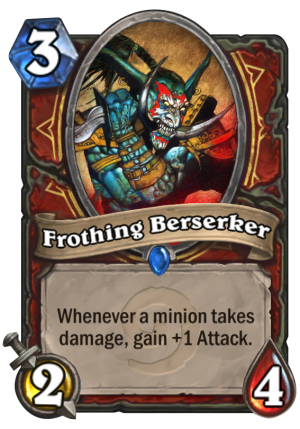 Frothing Berserker is a 3 Mana Cost Rare Warrior Minion card from the Classic set! Whenever a minion takes damage, gain +1 Attack. 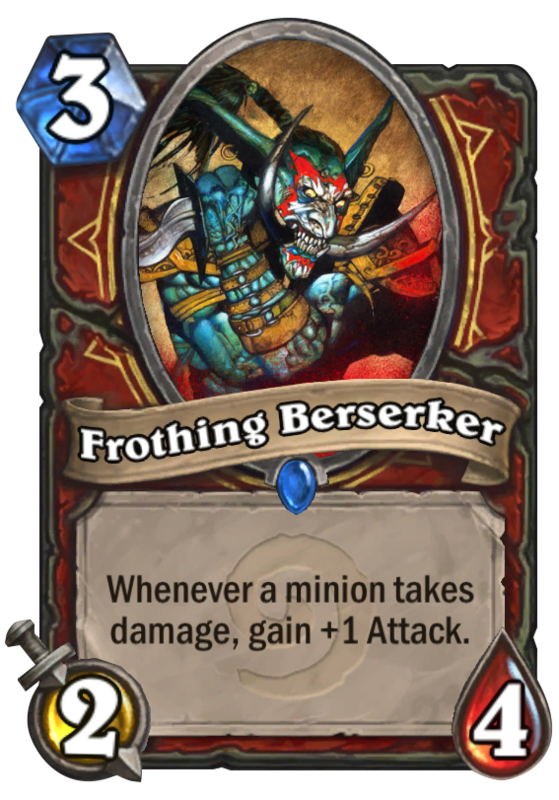 He used to work as an accountant before he tried his hand at Berserkering.